Our next speaker has honed today’s message from a lifetime at Disney. 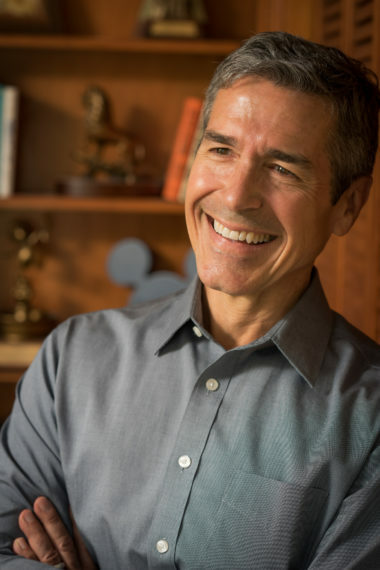 He brings 30 years of Disney experience, knowledge, and secrets from Disney’s Chief of Staff to Disney’s cleaning staff. To pad his resume as a college graduate, jeff became a Cast Member in 1982, as a Jungle Cruise Skipper in Adventureland. He left Disney later that year – equipped with an 18-speed touring bicycle and $75 cash – to pursue a dream of riding a bike across America. Returning to Orlando in 1984 from Washington State, jeff, his wife Cheryl, and Disney’s brand new CEO Michael Eisner, were hired the same day. Disney needed someone new at the very top, and someone at the, well, at the very bottom. He progressed quickly from lifeguard to Resort Operations, where he carved out a 15 year leadership career until the phone rang with an inquiry from Disney Institute. The rest as they say is history. Since 1999, jeff has spoken to one million+ people globally through Disney Institute. Jeff retired from Disney in 2014 to give speeches to change the world. He was Disney Institute’s highest rated, most requested speaker. And he’s received both of Disney’s Lifetime Achievement Awards. Jeff believes work is only work if you’d rather be doing something else. Allergic to most pollens and mediocrity, he can’t wait for the alarm clock to go off every morning. Ladies and gentlemen, please welcome jeff noel.